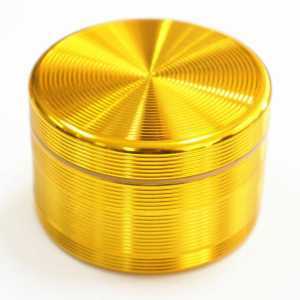 More handy Size: Diameter 1 5/8″ x H 1 3/4″ (4.1cm x 4.3cm). High quality 26 mean sharp pyramid teeth – 12 in the top of the cap & 14 in the bottom of grinding, crush your spice herb into the perfect fluffy texture in seconds. • Comes in silver tone finished body & gold tone polished ornate bullet parts. • Look great that set this on apart from the crowd. 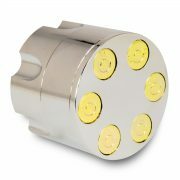 • Made of Strong metal & Great texture with fine chrome polished surface. 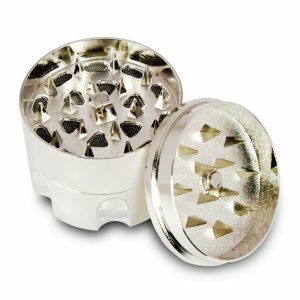 • The grinder includes 3 pieces. 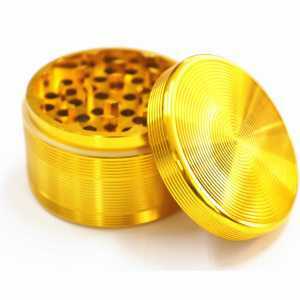 • Double sided magnetic grinding compartment has a mesh screen bottom that automatically collects pollen. • The bottom compartment can be used to store your grounded herb or simply to hold & collect your pollen. 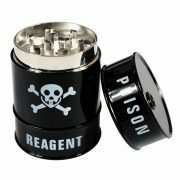 • High quality 26 mean sharp pyramid teeth – 12 in the top of the cap & 14 in the bottom of grinding. • Crush your spice herb into the perfect fluffy texture in seconds. • Making tedious hand breaking a thing of the past. 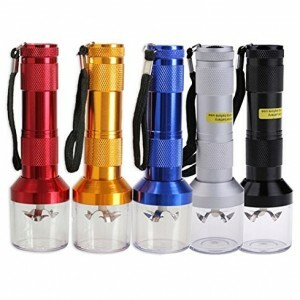 High quality aluminum alloy tooth，Razor Sharp Cutting Blades. 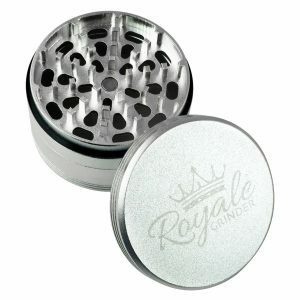 Healthy Conking Brand absolutely grinders on the market. 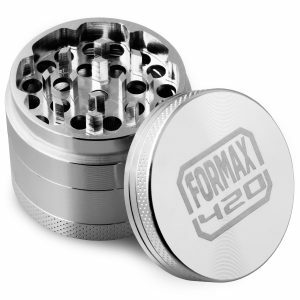 Classic four layer design with Pollen Catcher&free Scrapper. Many size and color to choose. 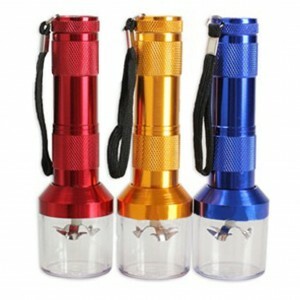 Material: Metal Alloy; 3 Piece Construction. 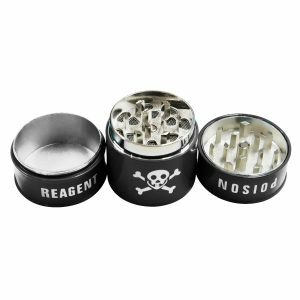 Magnets for a Tight Seal and Easy Grind. 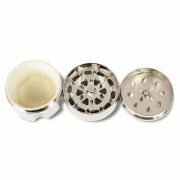 Great For Grinding Spices, Herbs, Tobacco Etc. Size: Approximate 2.5″ Inches Height x 1.5″ Inches Dimaeter. 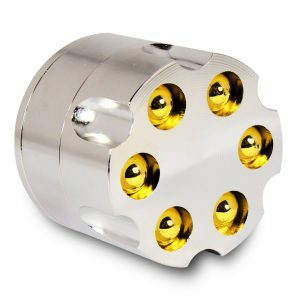 Made from High Grade Aluminum. 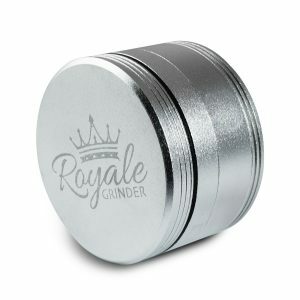 Easy, safe to use, designed for a smooth superior grinding experience. Produced on Precision CNC Machinery with Razor sharp teeth for an amazing fit and ability to shred herbs & spices with maximum efficiency. 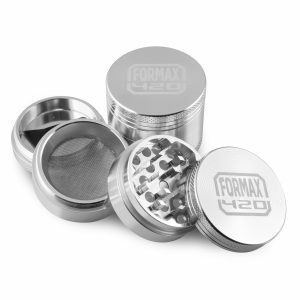 Includes Stainless Steel Pollen catcher with scrapper. Ergonomic Grip, Square Sturdy Peppercorn-Crushable Teeth that Don’t Dent, and a Micron-count Pollen Catcher. Milled from Ultra-Strong, Aircraft-Grade, CNC Aluminium with Powerful Neodymium Magnets.